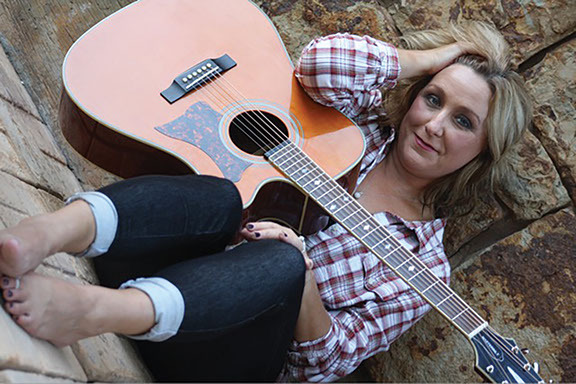 OKLAHOMA CITY – Raina Cobb has been making her rounds through the local music scene for a few years now, performing regularly throughout OKC and the metro area, but also traveling to Texas and Kansas as well. She just released her first full length album called The Journey this month, following her EP Damn Town (2014). “It’s called The Journey. It was a lot of fun and I’m so glad that we did it the way we did, we took our time. I could still probably nit pick it to death, a lot of songwriters do that, but I really feel like we did a really good job on it. I wanted it to have a lot of different flavors, I didn’t want it to be the same songs, and once you hear it I think you will understand that because not every song is exactly the same, but it all ties together, there’s a similar thread but it’s all different,” said Cobb. 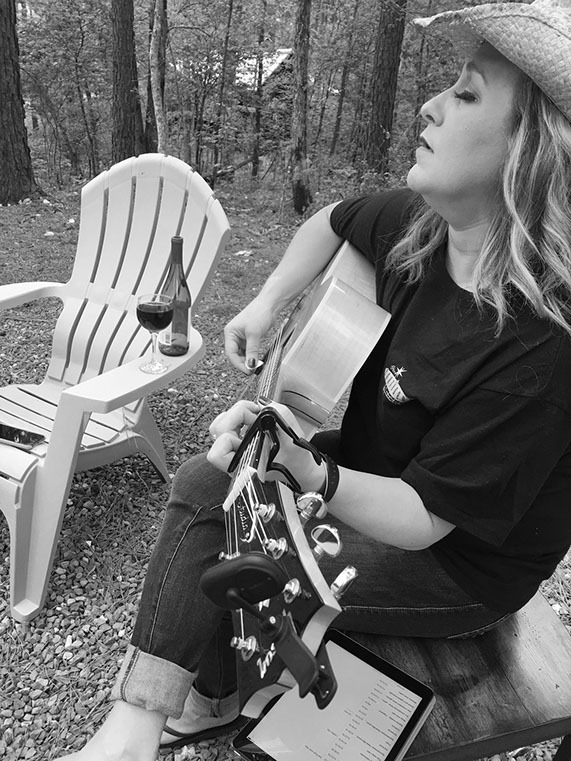 Although Cobb started playing music when she was 20, she soon got to a point where she needed to take a break for a while. She picked her guitar up again a few years ago to participate in local singer/songwriter jam nights and discovered again how much she enjoyed it. “I care so much more now about what I’m singing and how I’m playing it, than I did when I was a kid 20 years ago. It means so much more to me now. And now people are coming to my shows and asking me to sing my songs and know all the words, and that’s huge to me. It’s very fulfilling,” said Cobb. The Journey was recorded and produced by Cobb’s husband K.C. Cobb. Some of it was recorded in Tulsa at The Jam Shack, and the rest was all in-house at their home studio, Soudzrite Studios, in Midwest City. In addition to Cobb on vocals, guitar and percussion, additional musicians on the album are; Nathan Lanier (guitar, banjo, dobro), Clint Pope (guitar), Mike Friedman (drums), Jody Parsons (bass), Phillip Zoellner (keys), Duncan Grantz (drums), Brandon Autry (guitar), Jason Breed (guitar), Shawna Kennedy (fiddle), John Williams (harmonica), Sammy Edwards (steel guitar), and Alison Scott, Shelly Phelps and John Goolsby (backup vocals). The album features 11 songs. “Hide the Crazy” is a good storytelling song, about the complications of relationships and they can weave a tangled web. It’s a slower song with a country vibe, Cobb’s smoky voice is smooth, the beat is steady and the instrumentals are simple but done very well. The “crazy” laugh at the end is a nice touch. “Devil’s Jug” jumps off with a start. It’s more in your face with some rocking guitar going on, including a wailing solo. It makes you want to move along with the beat. It tells the story of a moonshine making family, with truthful lyrics like “Ain’t no love in the devil’s jug”. Music and lyrics were written by Misti Lanier and Brent Pendleton. “Nothing Lasts Forever” is slow and sweet, a song about heartbreak. It’s melancholy but beautiful. 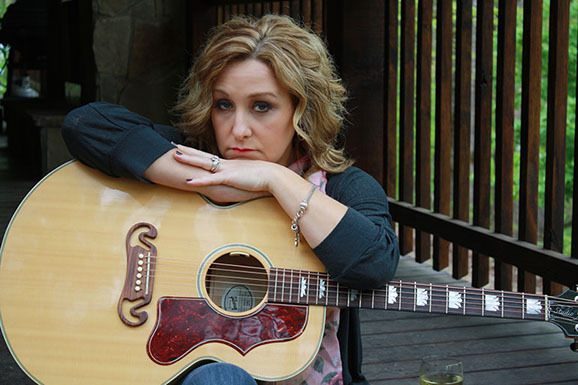 Cobb’s got a unique sound to her voice, with smoky and husky undertones, which gives her a bluesy feel for sure, even though this song leans more towards a country sound. “Mercy” has a great beat and fun instrumentals. The harmonica stands out in a fantastic way. It’s got interesting lyrics and a good chorus, a bit of an uplifting tune while posing questions to the world about life. Music and Lyrics by Greg Reichel. “Country girl” starts off with a bang. It’s a bit of an amusing song with a funny little twist to the chorus that has you doing a double take the first time you hear it, and leaves you thinking “did she just really say what I think she did?” An entertaining song about “that” kind of girl, we all know one or two like her. “Forever” is slow and melodic, with Cobb’s signature sultry voice. It’s about two women who find love together, which just might stir up even more controversy than the last song, but offers a beautiful look on the fact that love is love. “Suitcase” is a song about the complications of dating a married man, it’s got an almost honky tonk quality to it, although it’s a waltz. The steel guitar and harmonica round it out quite nicely. “Little Rain” keeps us on that slow leisurely pace, it’s got a steady beat that makes you want to close your eyes and sway a bit along with it. The fiddle is lovely throughout the tune. “Bulletproof” is a little dark in both sound and lyrics. It weaves a great story, although a bit on the melancholy side of things without the happy ending. The dobro gives it a slightly eerie quality, and the banjo gives it another great layer. Co-written with Misti Lanier. “First Kiss” is a song about remembering a lost love, filled with nostalgia and heartbreak. Raina’s voice is strong and smooth, losing the husky quality and making it more tender which does well for the song. It’s a lovely tune. “Magnum PI” is a tongue in cheek song about a favorite private investigator television star of the ‘80s, which will make you laugh but also might have some people raising their eyebrows. It’s a humorous and fun song. It’s got a great toe tapping beat and makes you want to shake your hips along with it. It’s a good ending song for the album. Overall the album offers a good deal of variety and keeps it interesting. It’s a fantastic first full length album for Raina, just opening the door and scratching the surface of what she has to offer this music scene. You can purchase it on Itunes or catch one of her shows to pick it up. You can find out more information on her website at www.rainacobbmusic.com or on her social media accounts.